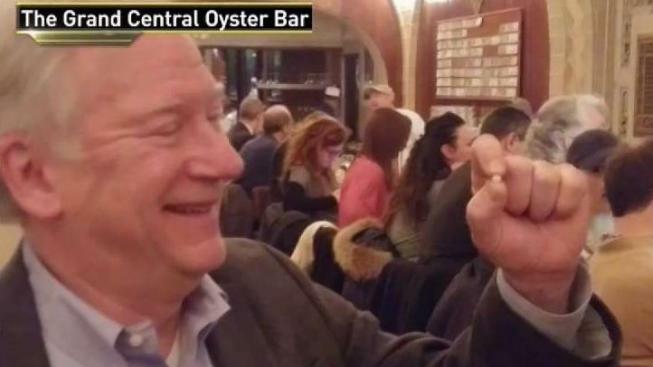 A lucky diner says he happened upon a pearl while eating an oyster dish at a famous New York City restaurant. Sixty-six-year-old Rick Antosh was out to lunch with a friend and ordered his usual at the Grand Central Oyster Bar on Dec. 5 — a $14.75 pan roast, which includes six oysters. Antosh tells the New York Post that he felt a small object rolling around his mouth after diving into the dish, and feared he had damaged a tooth. The Edgewater, New Jersey resident says it turned out to be a pea-sized pearl. He has not had the prize appraised. Executive Chef Sandy Ingber says it's the second time in his 28 years there that a customer has found a pearl.